Crèche, daycare, nursery school or preschool? Do you know the difference between daycare, crèche, Educare, nursery schools, and pre-primaries? Here we unpack what they offer so you can make the best choice. Many of us use the words daycare, crèche, Educare, nursery school and pre-primary fairly interchangeably. However, I’ve seen some mothers become quite upset when they realise the type of care their toddler or pre-schooler is receiving is not what they'd been expecting. When you’re looking around, it can help to write down a list of the type of care that you require. Do you want the type of place where there is supervised free play only, or the type that includes a formalised, registered grade R class on the premises and your child just moves to the next door building for grade 1? The age of your child, your parenting philosophy and your budget will determine these, but it helps to know what different types of care offer so that you know what you’re likely to get when you walk in somewhere to have a look. 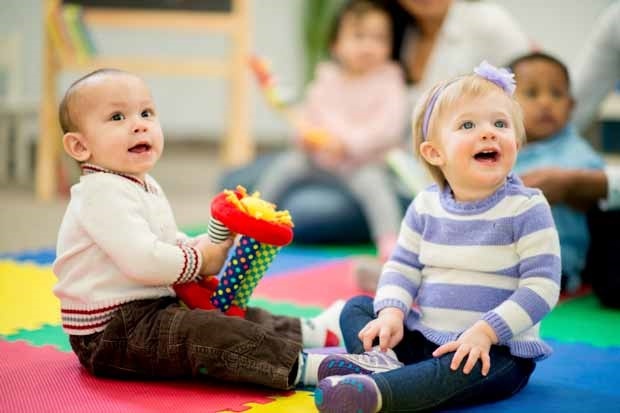 A crèche or day care facility offers supervised play for especially babies and young toddlers. The staff may have certificates in childcare but will not necessarily have degrees in early child hood development. There will be toys and there will be fun, and your child’s needs will be taken care of with meals, snacks, naps, changing times... and some even do potty training at a set age (though there is much debate around this, as many believe that potty training when children are ready is more successful). These facilities usually come at a lower cost than others, and have longer operating hours, often opening as early as 06:30 and being able to care for children for around 12 hours. An Educare facility is run on a similar basis to a crèche, but generally has a grade R class attached, although they might not follow a syllabus recognised by the department of education, so if this is important to you, do check this. Some Educares don’t have baby groups and only take children from about age 2 or 3. Playtimes at Educares usually follow a formalised series of themes and the focus is on education while your child is cared for. If there is a grade R class, the teacher will usually have a degree in early childhood development, but this will not always be the case. Care is generally full day. A nursery school and a pre-primary offer halfday programmes. Some also offer aftercare and holiday facilities. These schools generally don’t have baby classes, although you may find one or two that do provide care for younger siblings. A nursery school usually accommodates toddlers from 18 months or 2 years upwards, while a pre-primary usually only takes children in the year they turn four. Teachers will have degrees in early child hood development and the grade R class will be registered and follow the syllabus of government or private schools. Many pre-primaries are attached to private schools and are run as part of the school, whereas nursery schools generally aren’t and usually don’t have a grade R class. The fees tend to be at the higher end of the range and you pay extra for aftercare and holiday care. Meals usually aren’t provided and you’ll need to pack a snack for break time. There is plenty of free play time and also plenty of supervised activity time. Older children are not usually given a sleep time, and the day usually doesn’t start until 8:30 or 9am. Some nursery or preschools require that children are potty trained before they're admitted to the school, others allow children to potty-train when they’re ready to take that step. There is a wide variety of philosophies and education methods, from traditional to Montessori to Waldorf and everything in between. You really have to shop around for a school you’re comfortable with. Grade 0 or Grade R? There is no standardised name for the year before grade 1. I’ve used the term grade R to refer to this class for children aged 5 turning 6, but some schools call this grade 0 (and grade 00 the year before) – while others refer to grade 0 as the year children are four turning 5. All in all, very confusing. Some primary schools offer grade R classes, but your child can also complete grade R at a registered preschool. What type of care suits your children and budget best?